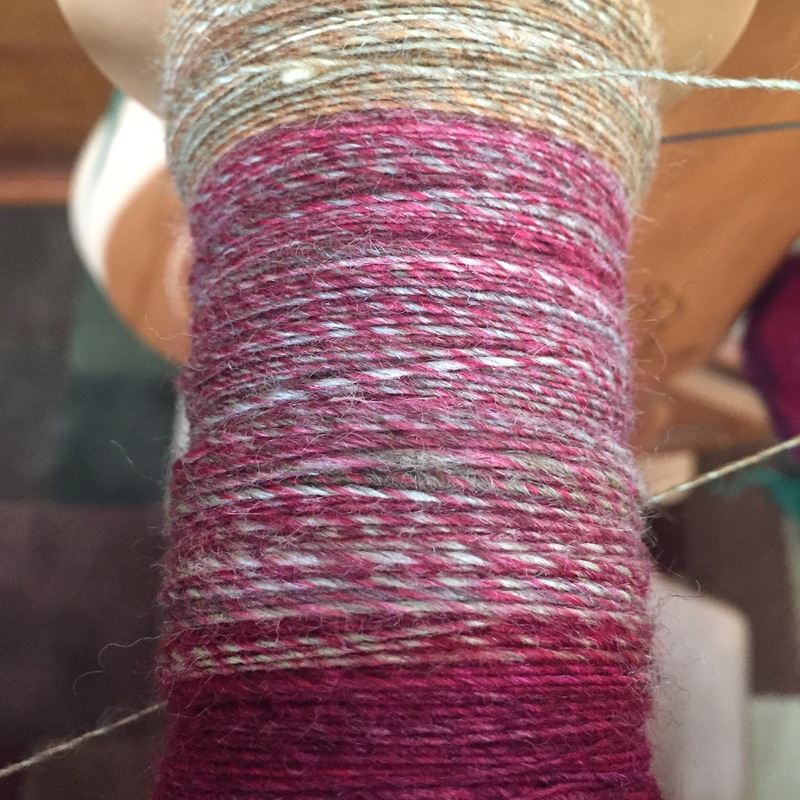 Now that my collapse weave scarf is done, I’ve got leftover 3 feet of sheep wool to finish spinning. I’ve just got this wool top in blocks of gorgeous color. But, after the collapse weave scarf, I am sick of blocks of color. So, I’ve been spinning it by holding two colors together and attempting to draw from both tops at once. Showing currently is red and magenta, red and yellow, and yellow and orange. I am going to keep working at this one and then chain ply it. But, there’s still a lot of wool! And, I am not so inspired about it, so it’s hard to stay motivated.